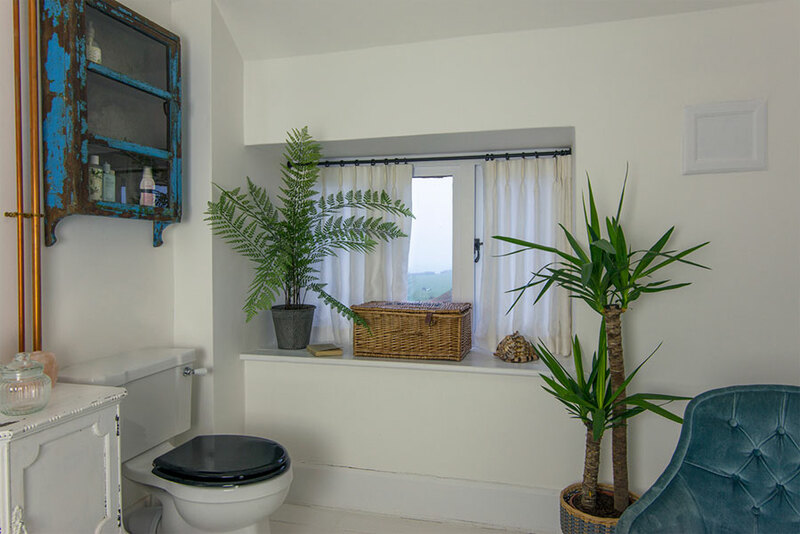 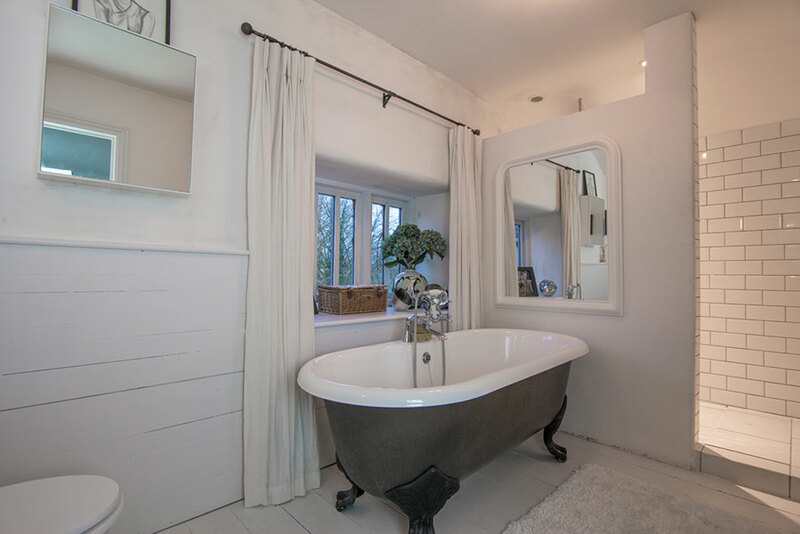 Pretty pleated fine linen curtains in the bathroom with stunning ferns and yukka plant. 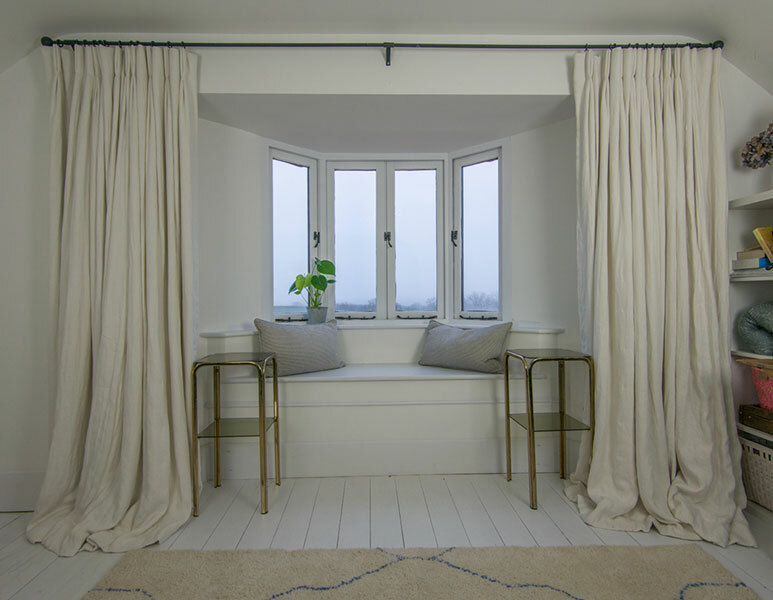 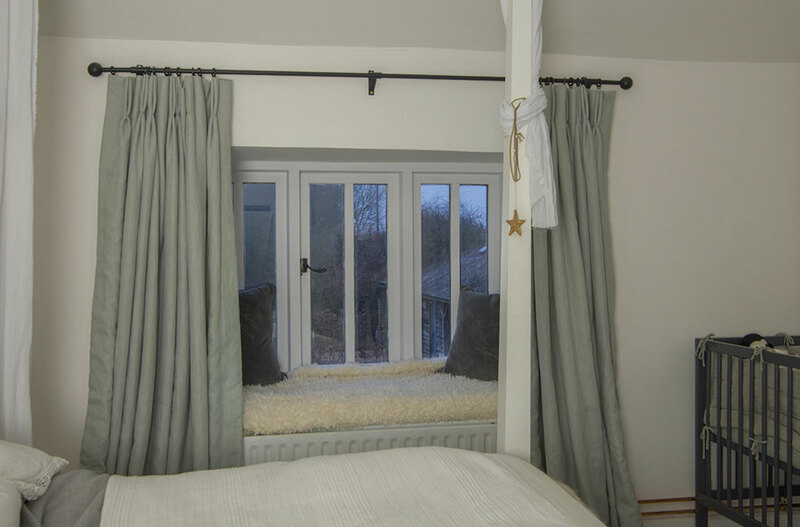 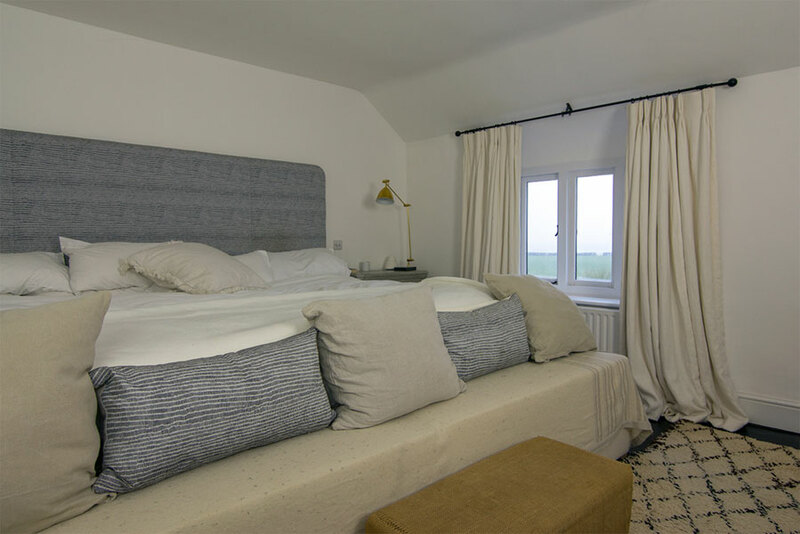 Pinch pleated curtains made from natural linen in a soft grey colour. 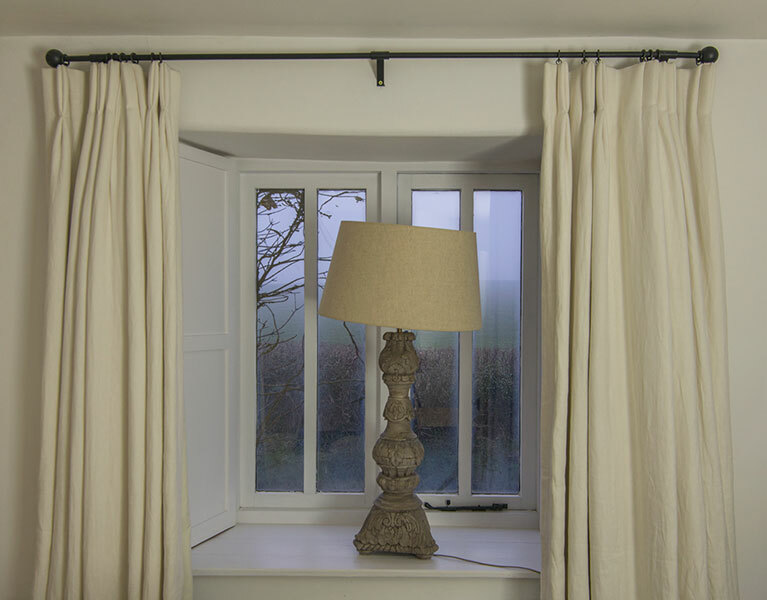 Simple white linen blinds with cast iron hinged fittings. 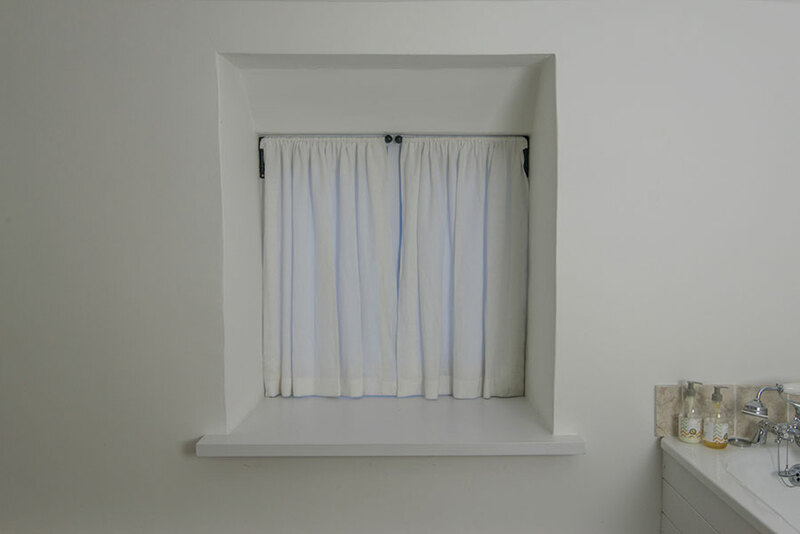 Perfect as a bathroom window treatment.